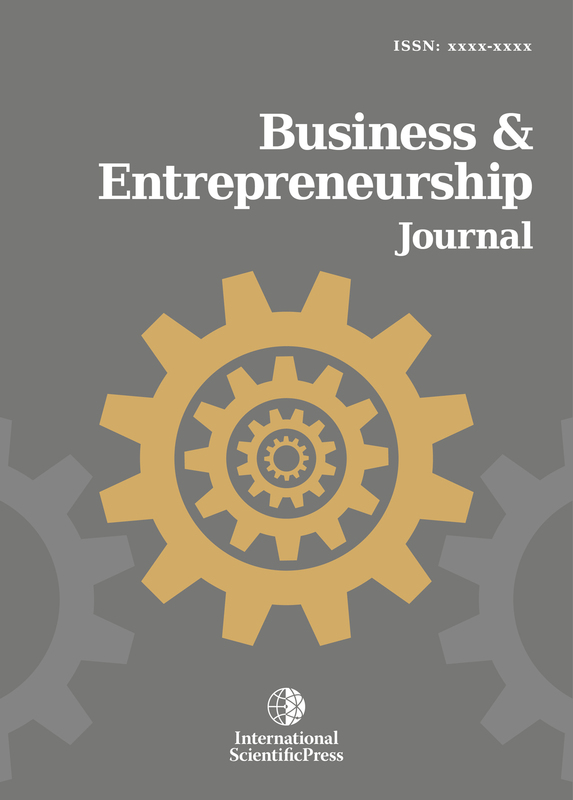 Business & Entrepreneurship Journal (BEJ) will publish original papers which contribute to the advancement of the field of entrepreneurship and the interface between management and entrepreneurship, as well as articles on business corporate strategy and government economic policy. On occasions, the journal will also feature case studies of successful firms or other cases having important practical implications. The journal will publish papers that show depth, rigour, originality and high standards of presentation. Submission of a paper will imply that it contains original unpublished work and is not being submitted for publication elsewhere. Entrepreneurship theories and conceptualizations, Entrepreneurship research methods, Innovation and technology entrepreneurs, Family entrepreneurship, networks, teams and alliances, Venture capital and angel investor groups, Entrepreneurial communities, hubs, clusters and public policy, Social entrepreneurship, International and emerging market entrepreneurship, Corporate entrepreneurship, Law and entrepreneurship, Microeconomic analyses of economic development, Development planning and policy, Economic and social impacts of e-entrepreneurship and innovation, Business-to-Business and Marketing. The role of marketing strategy in a search for a better performance of organic producers’ organisations in Bulgaria Popova I.
England and Wales with registered number 08159166.